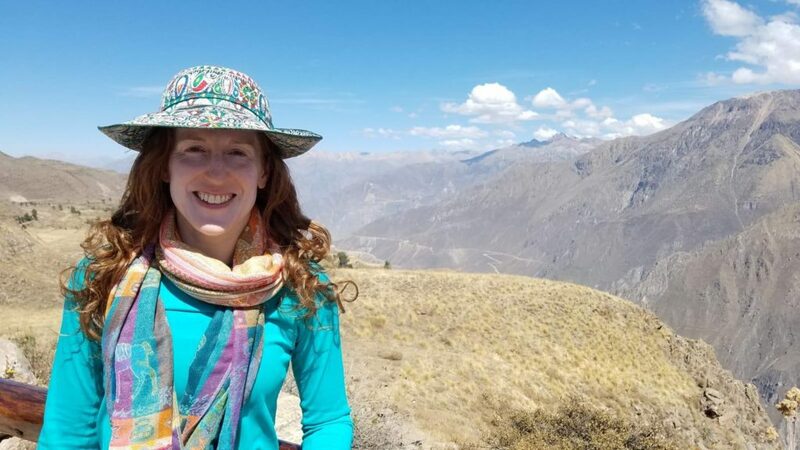 2018 was an exciting year here at ArchaeoAdventures. 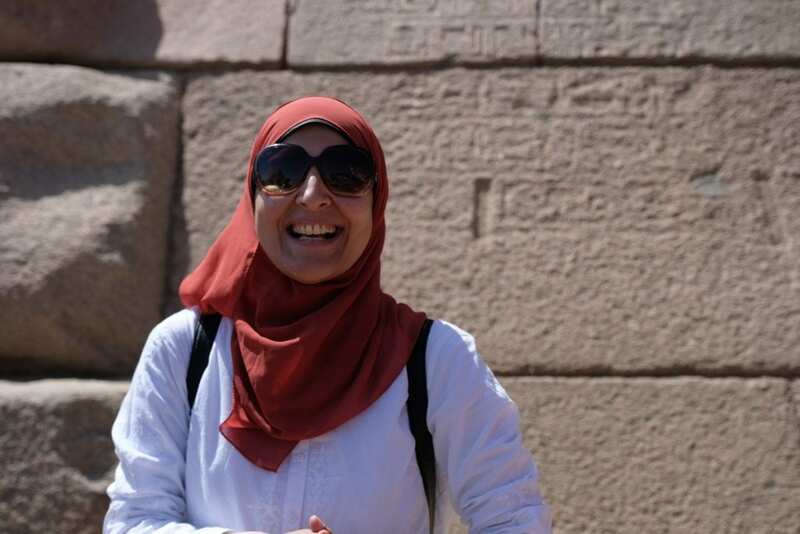 We added new tours to Jordan, expanding the number of tours we offer in Egypt and Morocco, building new partnerships with incredible women (You can learn more about Suzanne al Houby here. ), strengthening our existing partnerships, bringing on a few new team members to our core ArchaeoAdventures’ family, and laying the foundation for future tours to Oman, Turkey, Lebanon, the UAE and beyond. And we helped many travelers have an amazing time in Egypt and Morocco. Thank you for sharing this space with me each month as I bring you information on the region, travel tips, inspiration, and updates on our tours. It fills me with so much joy to see travelers interested and curious about the region. I’m particularly proud of our tours 7 Wonders of Jordan & Petra, Egypt: Treasures of the Nile, and Majestic Morocco. I developed them personally from years of having lived, worked and traveled in these countries. Carefully crafting every day, every journey and every experience to give our travelers what I believe is the very best experience in Egypt, Jordan and Morocco, maximizing the time in country, and balancing the experiences and adventures to include a mix of ancient history, meeting locals and outdoor adventures. I focused on authentic, genuine interactions with locals; building on our motto of Come as a traveler, leave as a local. ArchaeoAdventures travelers meeting the children of a family our group spent time with on Besaw Island in northern Egypt. The kids loved meeting the group just as much as our travelers loved spending time with them! Our Egypt tour not only covers the very best of ancient Egypt, we also delve into the Islamic history at places like the Citadel and Mohammed Ali mosque, spend time with Egyptian families on small, rural islands on our way to Aswan, plan our site visits so that you are one of the first groups, if not the first visitors, at some of Egypt’s busiest and most iconic locations (last year we were able to get our tour group to Giza earlier enough to be the first travelers inside the Great Pyramid!! 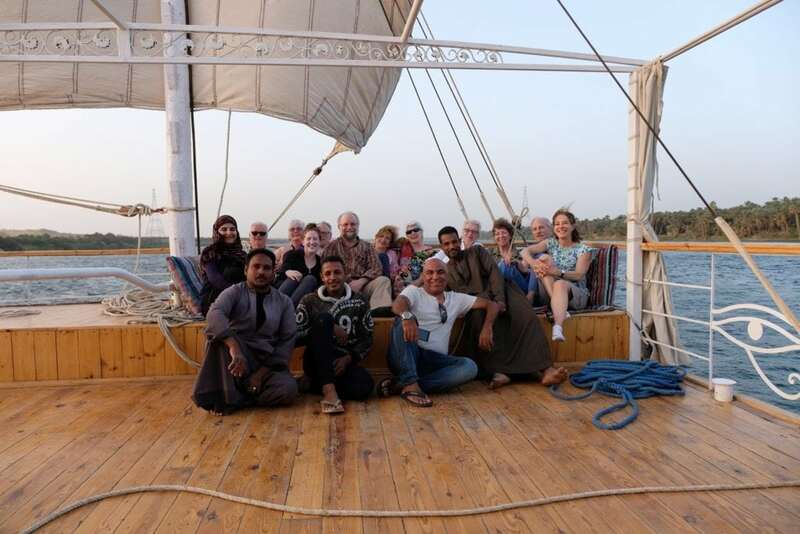 ), take time to pause and really take in Egypt while we traveling up the Nile in our own private Dahabiya boat, and visit small villages where few travelers venture. These places are far away from the touts and tourist throngs – locals here are kind, gracious and simply thrilled to see guests in their villages. It’s a completely different experience than places like Cairo and Luxor; an experience few tour groups give their travelers because they are so busy checking off sites and giving the exact same pre-package tour that everyone gives. 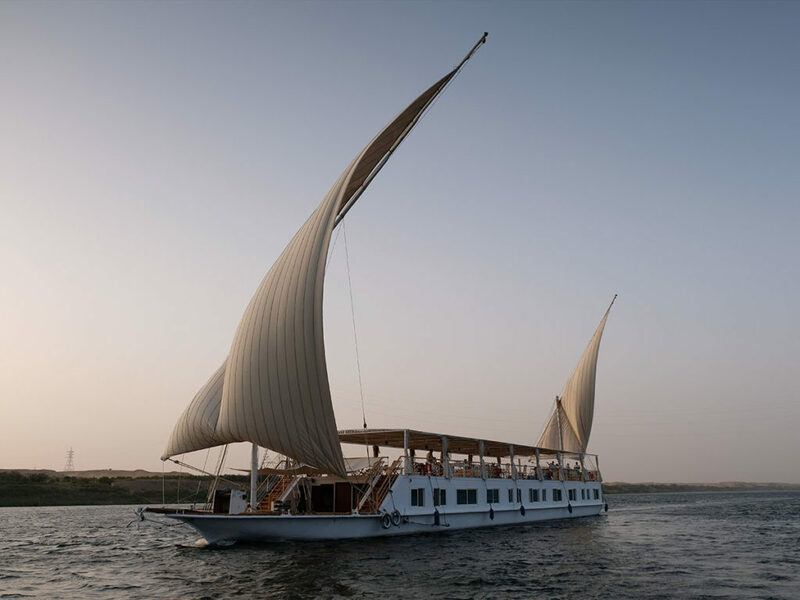 Our home for 4 days traveling up the Nile River from Luxor to Aswan. Our recent group of wonderful travelers with the amazing boat crew. After 4 days traveling the Nile visiting small villages and off the beaten path ancient Egyptian sites it felt like one big family! With a small group size of 12 travelers – this trip feels more like a group of friends exploring Egypt than being part of a tour group. We hop on local tuk tuks (imported from India! ), ride in the classic horse drawn carriages in places like Edfu (these guys are an institution and have gone as far as to form a union), and visit towns like Daraw by passenger ferry and then traditional taxis. Traveling in this small group sizes let’s us travel as the locals do. We work with a number of fantastic local female Egyptology guides who are experts in the history, culture and the sites of ancient Egypt. They are also very passionate about sharing the modern culture with our travelers. These women lead our tours and do an incredible job giving our travelers the very best ArchaeoAdventures experience. Our groups routinely tell me they wish they could bring home Reham, Yassmin, Tamer, Mohammed, Asma, and our other guides and support staff because they love them so much. 🙂 Which always warms my heart to hear! Our team is passionate and hardworking to make these trips extra special. I have always believed that it’s the people we meet that make a travel experiences. And our Egypt Team definitely does that! I first visited Jordan back in 2003, while I was studying Egyptology at the American University in Cairo. I remember flying into to Amman in a blizzard (yes, sometimes it snows there in the winter) and instantly being struck with how kind and respectful the locals were. I spent a week in Jordan then (when few travelers were visiting) and fell in love with the country. I’ve been back many times and every time I visit I always leave a little piece of my heart in Jordan. It’s the magical mix of people, land, culture and history that makes this country truly special. Learning about Bedouin life in Wadi Rum - a secret about Jordan .... the bedouin have a great sense of humor! 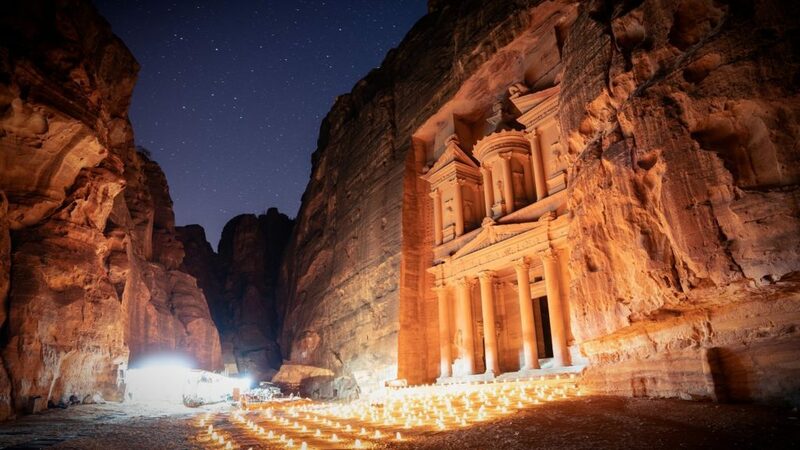 The stunning Petra at Night, few travelers experience this amazing event. Luckily, when you join an ArchaeoAdventures trip to Jordan this will be one of the many memories you will make in Jordan. 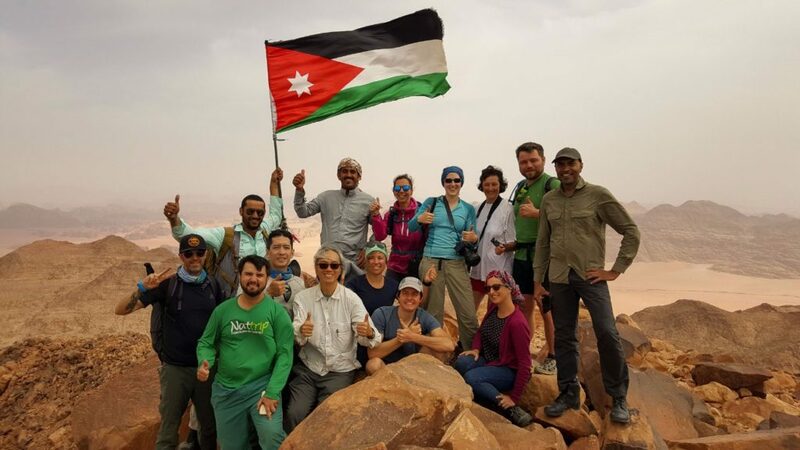 In Jordan, our tours explore this fascinating country with the incredible Suzanne Al Houby – the first Arab woman to summit Mt. Everest and the first Arab woman to summit all 7 Summits (the tallest mountain on each continent). She’s a powerhouse lady to spend a week with and provides such unique insight not only to Jordan but to the entire region. Our Jordan tour travels the breadth of the country – visiting local craftsman in the North (where few travelers venture), staying with local families around the Aljoun Forest, hiking through this nature reserve, floating in the Dead Sea, walking through Jordan’s Roman heritage at Jerash, hiking the backdoor trails at Petra to explore this wonder of the ancient world away from the crowds. We will walk through the ancient siq at night light by hundreds of candles and marvel at the magnificent Treasure façade illuminated by candlelight. Petra by Night is a magnificent experience that unfortunately most travelers skip because they only get half a day at Petra. We also visit Little Petra to enjoy the full breadth of this magnificent Nabatean capital city. While in Wadi Rum (featured as the landscape of Mars in the Martian) we learn about the strong bedouin traditions, enjoy a sunrise camel trek, spend 2 days here to really appreciate and soak in this magnificent landscape which really does feel like being on Mars, take a sunrise came trek, and hike the tallest peak in Jordan. Exploring the desert of Wadi Rum, enroute to hike the tallest mountain in Jordan. Every time I visit Wadi Rum I feel like I’ve gone back in time to the era of the early explorers. Away from the perfectly curated travel experiences. Wadi Rum lets us get deep into this rugged landscape on the border of Saudi Arabia’s vast Empty Quarter. Hiking with our local Bedouins guides, we learn about how people have lived in this seemingly inhospitable land for thousands of years, These guides are still the caretakers of the land – much as their ancestors were. Spending a few days with them we get a glimpse into their ancient ways and traditions that allowed these intrepid groups of traders and herders to thrive in the Red Desert. We end our trip with a little relaxation on the Dead Sea, floating at the lowest point on land. Jordan is truly an adventure! The Jordanians are some of the friendliest people I’ve ever met and they constantly remind me of the power of warmth and welcoming guests with open arms. 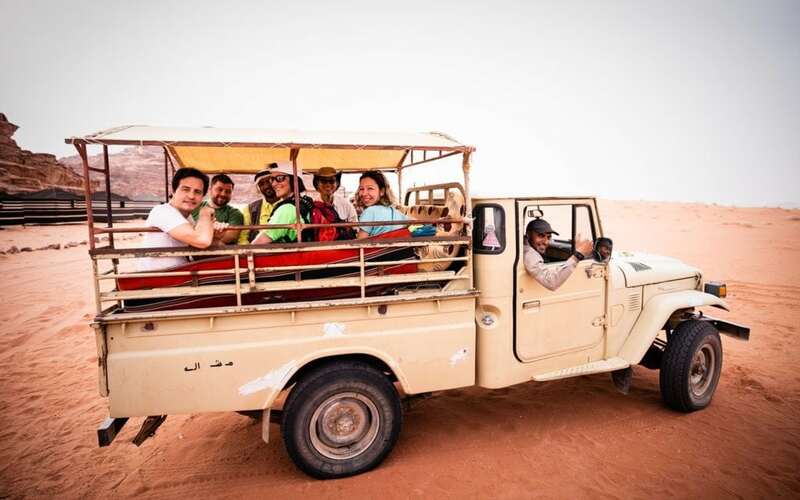 As a traveler in Jordan you are not a foreigner – rather you are a friend. It isn’t just the kindness that impresses me about the Jordanians, it’s their honest warmth and openness. Navigating the ancient Nabatean trails through the back door of Petra. Standing on the tallest peak in Jordan! To top it all off – on this tour we sprinkled in a few surprises for our travelers that delight our tour groups. Now on to Morocco! I first fell in love with Morocco when I visited the Sahara Desert. 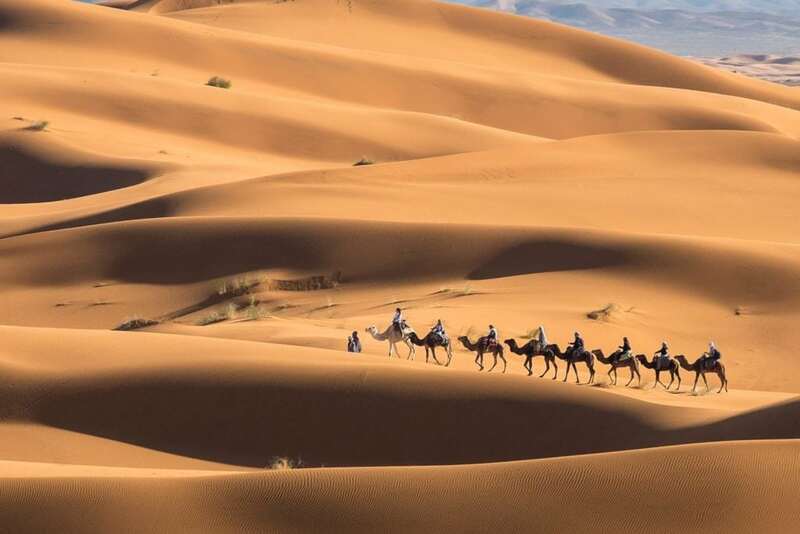 Golden towering dunes, camel caravans walking into the setting sun, nights around the fire, blue Berbers guiding camels through the desert – the Sahara is a magical and impressive land. I was inspired to develop a Morocco tour that shared with our travelers the very best of both the Sahara, as well as the historical and colorful cities of Morocco. ArchaeoAdventures Majestic Morocco Tour has been taking travelers on an exciting adventure across this impressive country for over the past 5 years! How time has flown! It feels like just yesterday we were running our first tours to this interesting country, and now we’re over half a decade into show travelers the best of Morocco. Sunrise camel trek through the Sahara. 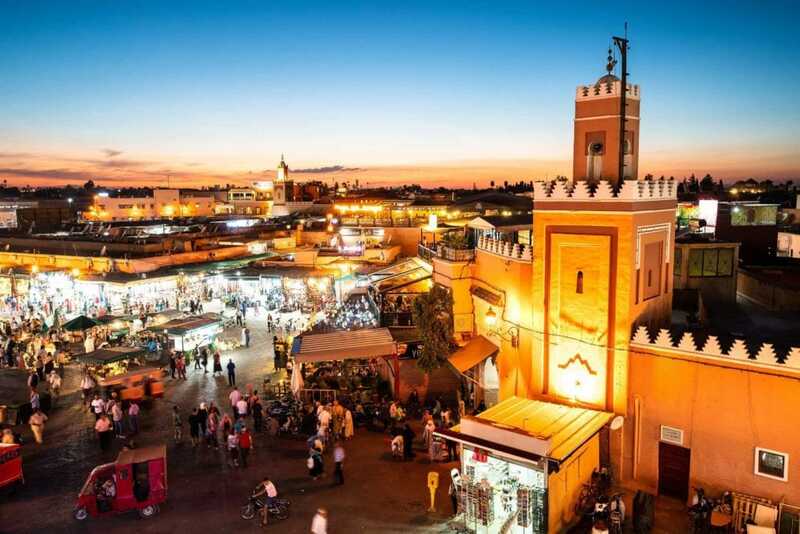 Night falls over Marrakech and the chefs get busy whipping up a feast. 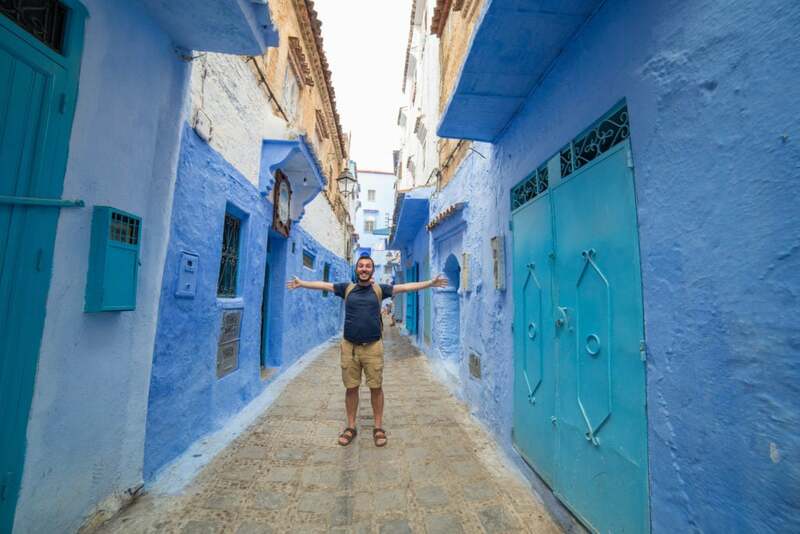 Exploring Chefchaouen, the blue city. Mornings in the Sahara - so many smiles and good times! Explore the twisting medieval labyrinths connecting Fez‘s ancient souks, mosques, and medina — the most complete medieval city in the Arab World. Travel through the High Atlas Mountains amongst snow-capped peaks and Berber tribes — the roof of North Africa. 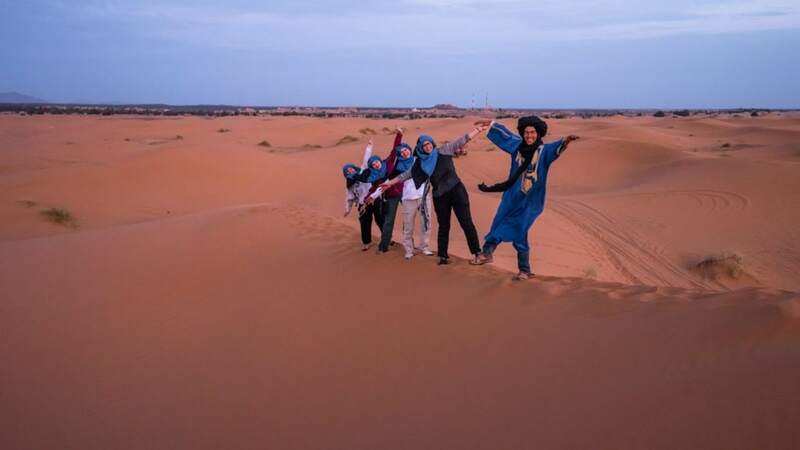 Take a camel trek in the massive, rolling Erg Chebbi dunes in the Sahara desert, and camp under the stars in this dramatic and wild landscape. Bargain for Bedouin-made jewelry, spices and ceramics amongst the blue-washed buildings of Chefchaouen’s medina. Hike through the lush valleys of the Rif Mountains, along traditional herder paths and through small mountain villages. Morocco has an adventure around every corner! I hope that we can welcome you on an adventure with us, whether its Jordan, Egypt, Morocco or another future tour. Providing a truly one of a kind travel experience – part adventure, part history, part cultural immersion to help you Come as a Traveler, and Leave as a Local. In these times of seeming constant change, more than ever the world needs you – connecting with people across cultures, sharing your experiences, learning about people on the other side of the planet (and how similar we really are) and bringing home what it’s like in other cultures and places. We’d love to help show you the Middle East and North Africa. Happy 2018! Here’s to a year of great travel!